An arthrogram, also called arthrography, is a procedure used to evaluate the internal structure of a joint, including ligaments, tendons and cartilage. During this procedure, a doctor injects a contrast material, such as air, dye or water, into a patient's joint. 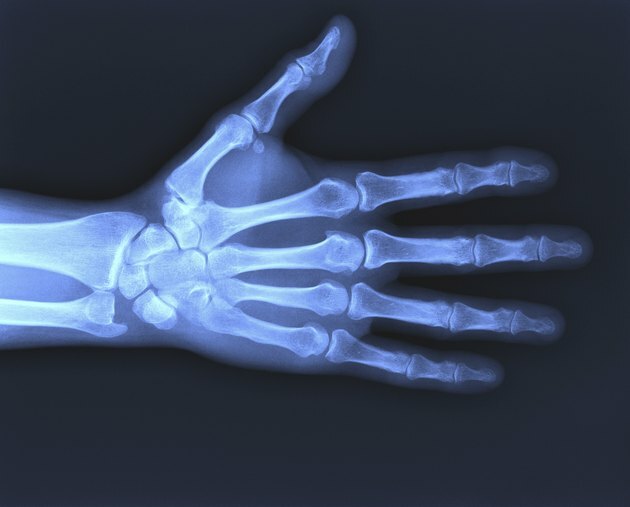 The doctor is then able to view the inside of the joint using an X-ray, CT scan or MRI. An arthrogram is typically utilized to help a doctor diagnose joint problems, such as degradation or damage of a muscle, ligament or tendon. Patients should be aware of arthrogram side effects before undergoing this procedure. After having an arthrogram, patients may experience increased joint pain or swelling at the site of treatment, the University of Michigan Health System reports. The joint may appear unusually puffy and can be tender to the touch. Joint discomfort may limit a patient's ability to move the affected joint normally. These side effects of an arthrogram are temporary and progressively subside within approximately one to two days following this procedure. Patients who experience persistent or severe joint pain after having an arthrogram should seek care from a medical professional. The skin surrounding the injection site for the contrast media may appear unusually red or swollen, Drugs.com warns. Additionally, certain people may experience a burning sensation during the injection. The affected skin region may feel uncomfortable and can be sensitive to the touch. Injection site reaction side effects generally subside within a few days following an arthrogram. Patients may develop unusual sensations of numbness or tingling near the examined joint. Though these side effects of an arthrogram may be bothersome, they typically resolve a couple of days after patients undergo this procedure. An arthrogram causes increased amounts of fluid to accumulate around the examined joint. Consequently, patients may notice an unusual clicking or grating noise when moving the affected joint. This arthrogram side effect is normal and subsides within 24 hours of treatment, Children's Hospital Boston reports.